Celebrate the raspberry’s unique flavour with this irresistible dessert. Preheat the oven to 190°C/fan170°C/gas 5. Make the pastry. Using your fingertips, rub the flour into the butter in a bowl until it resembles fine breadcrumbs. Add the sugar, egg and 1 tablespoon cold water and mix to form a soft dough. Wrap in cling film and chill for 30 minutes. Mix the raspberries and 150g sugar in a bowl and set aside. In another bowl, mix together the almonds and flour, add the butter, remaining sugar and cinnamon and mix with your fingertips to form a soft crumble. On a lightly floured surface, roll out the pastry to a 5mm thickness and use to line a 25cm round x 2-3cm deep loose-bottomed, fluted tart tin. Line with baking paper and baking beans. Blind bake for 15 minutes. Remove the paper and beans and bake for a further 5 minutes, until golden. 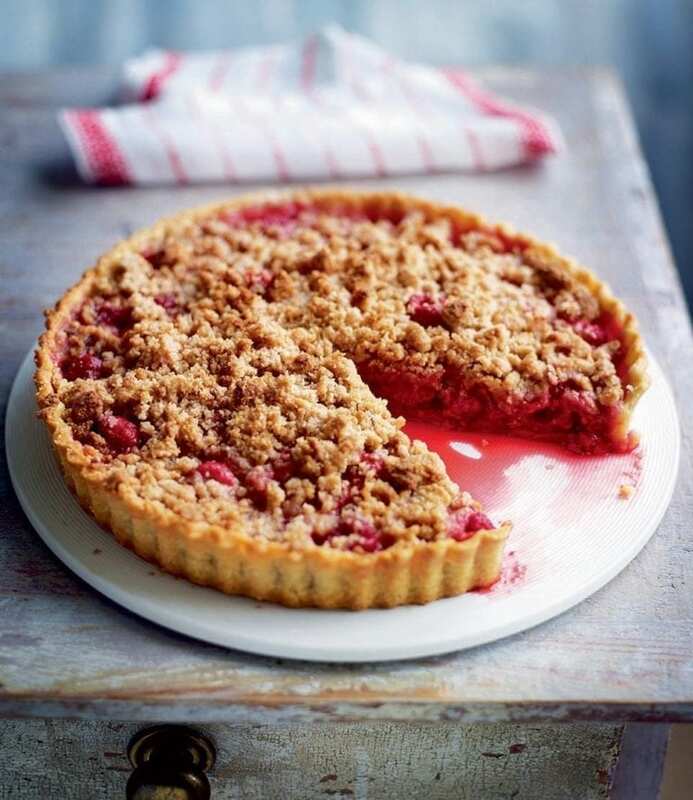 Add the raspberry filling and top with the crumble. Bake for 20-25 minutes, until the crumble is golden brown. Serve warm or cold with ice cream or custard. No cinnamon or almonds….rest lovely….